Sorry for the lateness of this posting. Been very busy with taxes and searching for $$$ to pay them! Anyway, I’ve posted the Kanikapila Events for this week, you can view them here. Click here for last Friday’s UFOHQ images and here for last Saturday’s Sonoma Valley Woman’s Club Kanikapila. Mahalo, once again, to Betty Ann and Hula Mai for all the great Hula, to Craig and Linda, for the great photos and to the wahine of the SVWC for their great hospitality. A Couple of parting thoughts before I dive back into my taxes . . . This is why you shouldn’t park your car overnight at the North Gate Shopping Center! And for those of you with cats out there . . .
. . . there’s an app for that???? Ummmmm, nothing like poached eggs, cheese grits and catfish for breakfast! Click Linda for details! So here we are sliding down the middle of the week to another weekend of Kanikapila Madness, I know it not the same as March Madness but at least we don’t have to wait an entire year to celebrate our Ukulele ‘Madness’! Though I know we ‘play’ just as hard. Sorry, its the cold medicine . 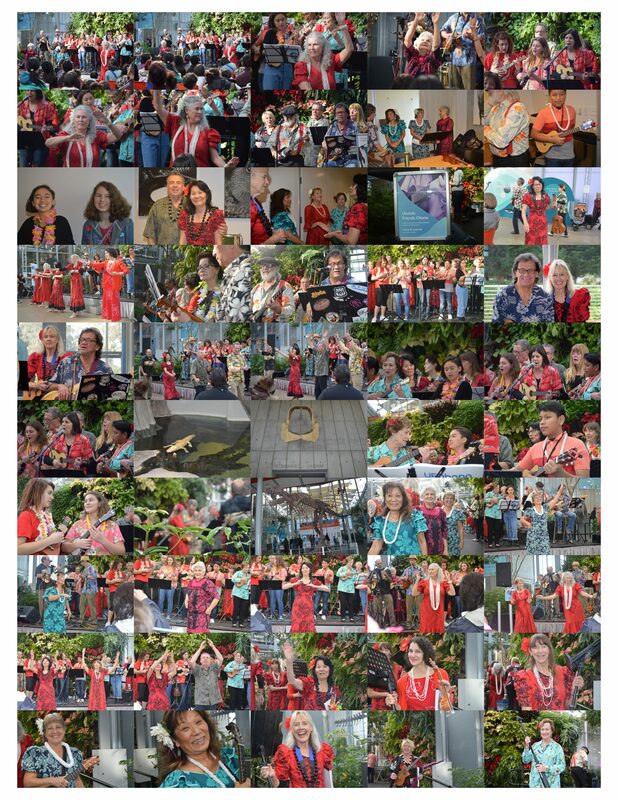 . .
Mahalo to everyone who participated in last week’s Kanikapila(s). Click here for Friday’s images and here for Saturday’s. I’m finally coming out from under that allergy/cold thing. Hope you folks are faring better out there, staying dry and healthy. I understand we may have clear weather this weekend, let’s keep our fingers crossed and hope 37 stays open as well. Congratulations to Charlotte on the anniversary of their 2nd annual Ukulele performance/fundraiser Children of Marin. Sorry I couldn’t attend this one. I understand from Linda that it was well attended. Is there a fly in the house?